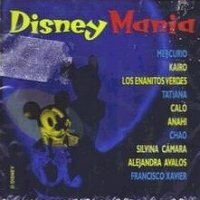 This was a collection of Disney songs in Spanish. Tatiana performed the song "Soñar es desear" ("A dream is a wish your heart makes") [Listen], from La Cenicienta (Cinderella). Other artists include Mercurio and Enanitos Verdes. This page was first created 25 Jun 2001, and last modified 20 Mar 2005.